Q. I want to download a reading that is on IVLE E-Reserves for the second time, but it only allows me to do it once, can you reset it for me? If you click on the download icon without saving the file, or if your PC hangs while the file is opening, the system will still consider it as one download. 2. 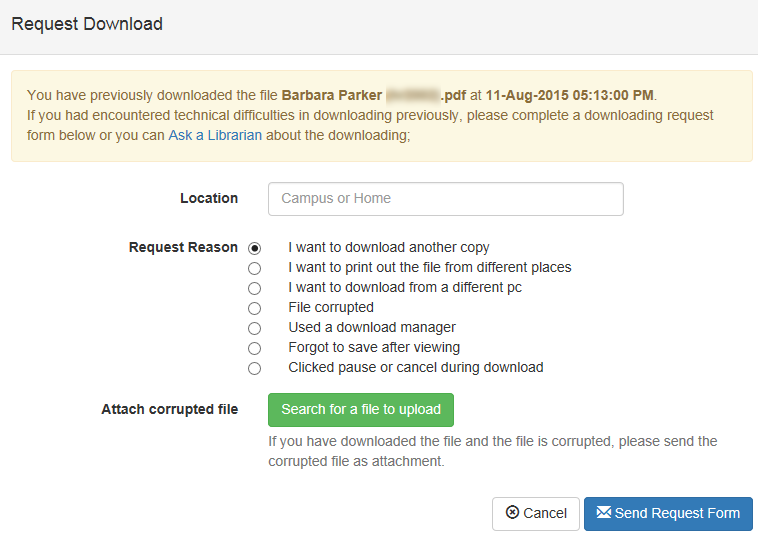 Complete the request form by selecting the listed problems of not being able to download the file. 4. You can now continue to re-download the reading. Do remember only ONE reset is permitted.